Various things are happening to me all the time. I have diverse and manifold stories to share. They are funny and sad, happy and unusual. There are a host of remarkable, miraculous occurrences and testimonies that we are not alone here, that we are loved by heaven and are cared for. This event happened in the summer of 2006. I had just returned from a pilgrimage trip to Diveyevo. 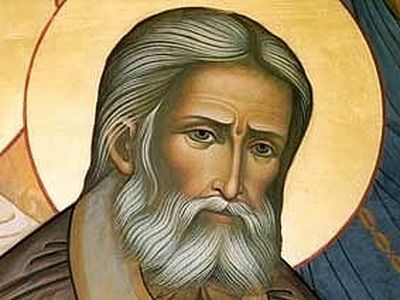 At that time I developed a strong spiritual bond with St. Seraphim of Sarov. I had especially venerated him before my pilgrimage, though. But that pilgrimage greatly deepened my love for the saint. So, after the pilgrimage trip I went to see my granny who lived in the Ryazan region.1 The village where she lived had a lovely name: Svezhenkaya (it can be translated as “very fresh”). It lay amid dense forests of the Ryazan region. It was a hot and dry summer. And it was in July, that is, at the height of the mushroom season2 It should be said that edible mushrooms grew in abundance in that area. Here chanterelles, milk mushrooms, orange-cap boletuses, brown-cap boletuses, honey agarics and annulated (or yellow) boletuses were plentiful. Ugly milk-caps, saffron milk-caps, russules, paxils also grew in large numbers, though we did not pick them. And of course there were our beloved ceps, white mushrooms as we call them. From my early childhood, from as far back as I can remember, we used to go to the forest to pick mushrooms. While hunting mushrooms, we could walk for dozens and dozens of miles in the forest. And towards the evening, very happy and tired, we would drag our huge woven baskets full of “precious” mushrooms back home. By the way, my granny was a very religious and pious person. She was a great faster and a woman of prayer. She strictly observed absolutely all fasts, whether long or short in duration. She used to put five different types of hot cereals, pancakes, milk, cheese, eggs and cottage cheese on the table in front of us, her grandchildren. As for herself, she was content with very little: only tea and bread. And during the strict Dormition Fast, mushrooms always helped her out. She would cook a quantity of mushroom soup and that was sufficient for her. And at the same moment I suddenly spotted a white mushroom under a leaf, and then more white mushrooms. And none of them was wormy. To be brief, I picked mushrooms for half an hour until my bucket was half full and ran back home. When I got back, granny was amazed and excited. “Oh, my darling! My dear girl! How have you managed to find so many mushrooms?” But I held my tongue. I obeyed my granny. She dried the mushrooms and ate them throughout the Dormition Fast, and was very pleased. Other village residents went to the same forest many times over that summer, but did not find a single white mushroom. It was a dry summer that year and so mushrooms did not grow. 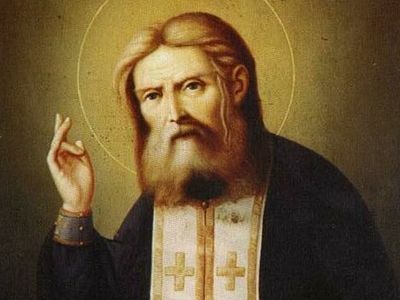 There is a simple explanation for this miraculous event: St. Seraphim loved my granny dearly. 1 In central Russia, with its administrative center in the city of Ryazan, on the Oka River, some 122 miles southeast of Moscow. —Trans. 2 Mushroom hunting is an extremely popular Russian hobby and even a passion, a sort of “a national sport”.—Trans. The following are true stories sent by readers to the editors of Pravoslavie.ru. It was the same during his earthly life. 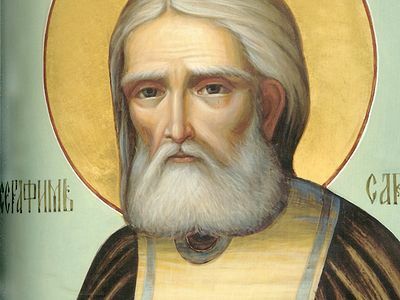 Cities were being destroyed, kingdoms were being established, Napoleon advanced upon Russia with twelve nations and then left in disgrace, Moscow burned and was again raised from the ashes, Decembrists organized revolts and were then sentenced; but was as if these events did not touch St. Seraphim.